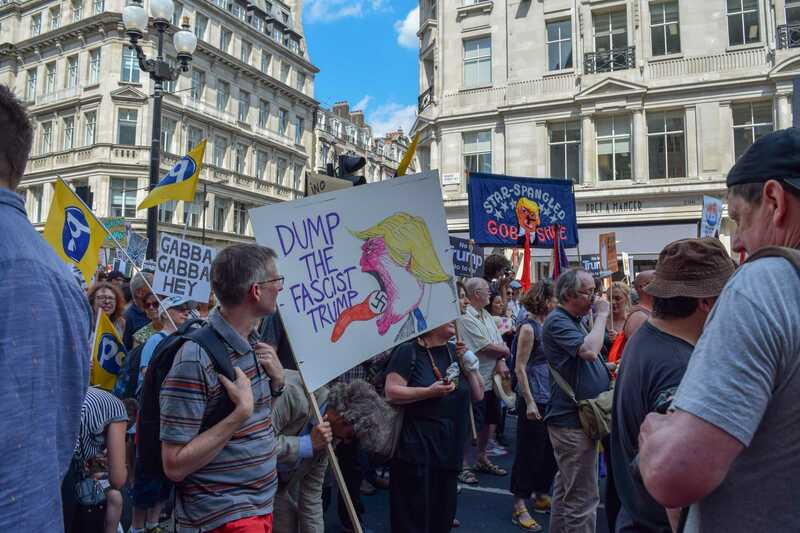 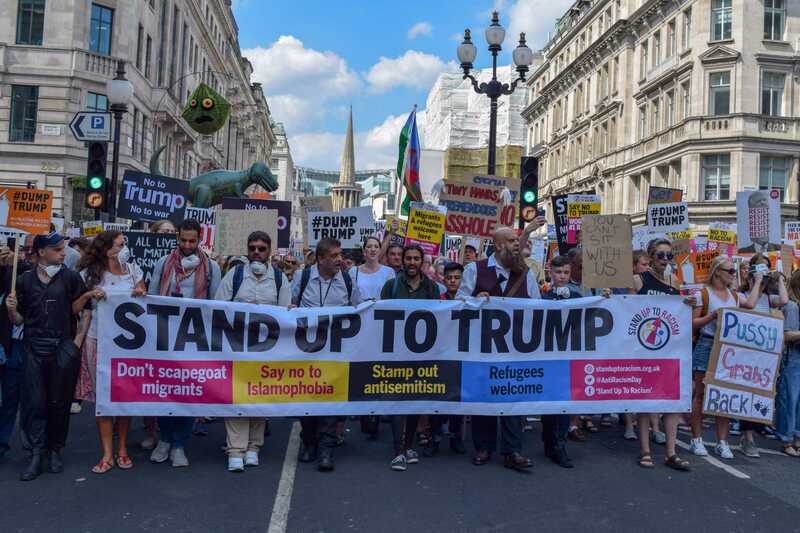 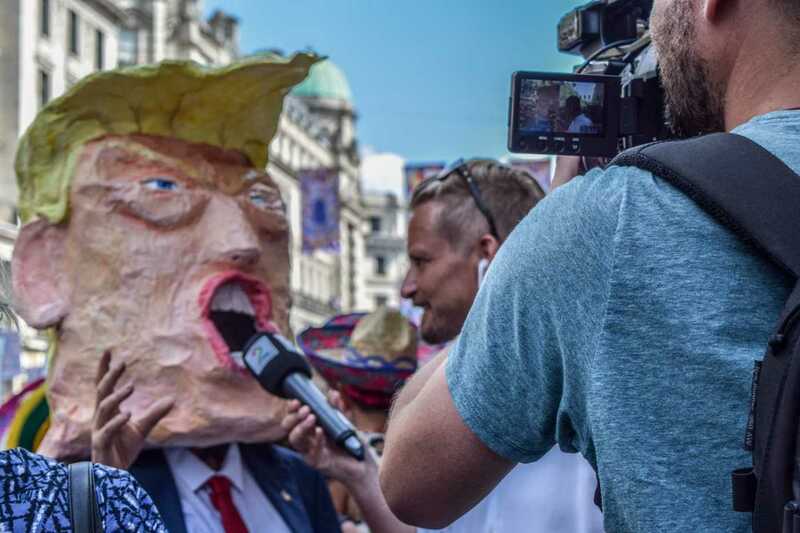 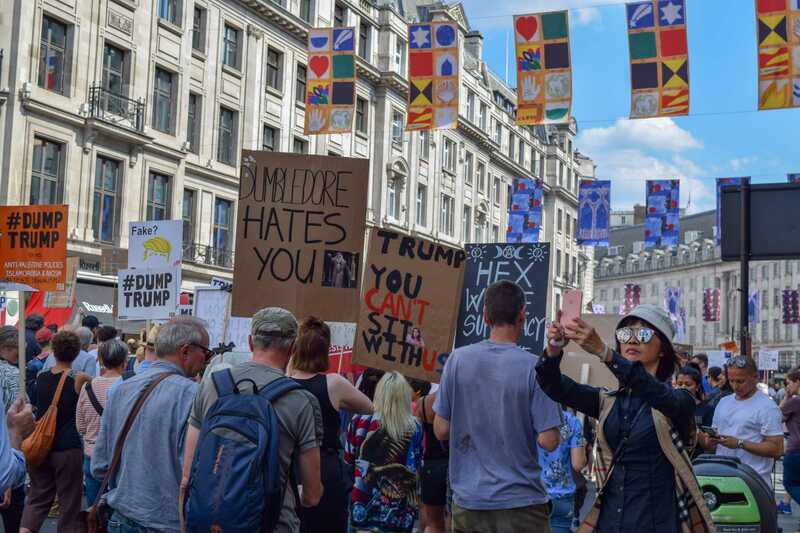 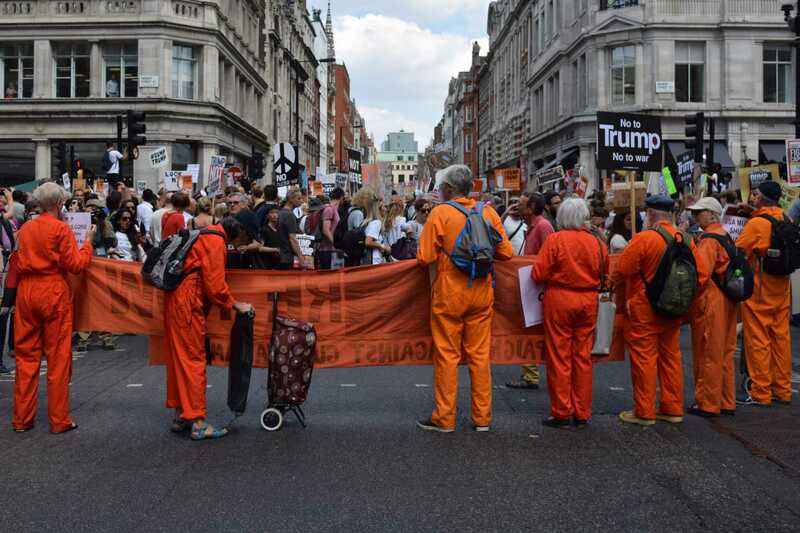 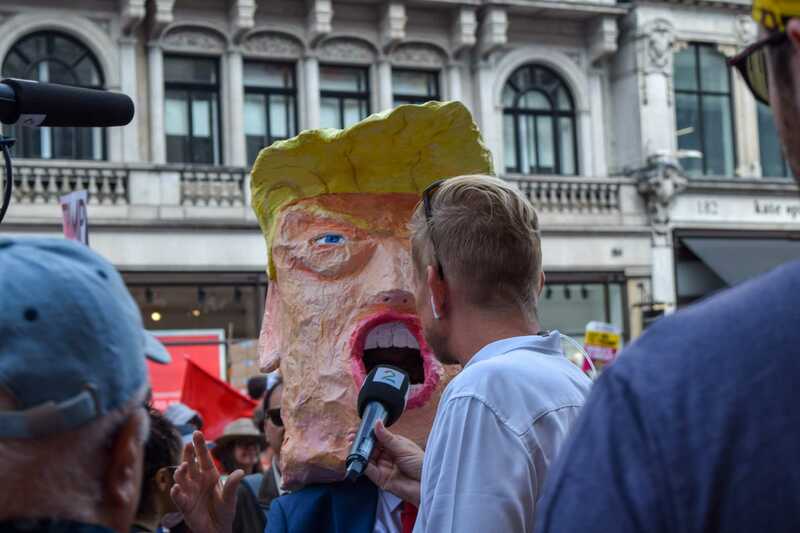 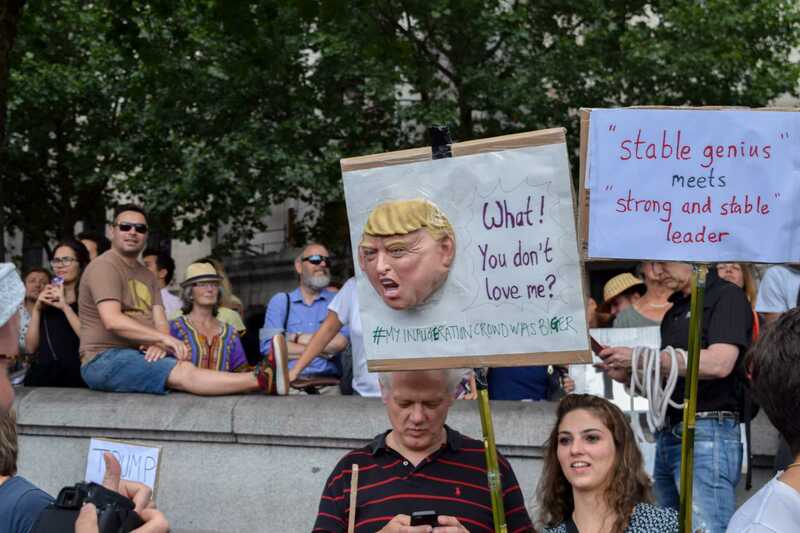 An estimated 250,000 people hit the streets of London yesterday to protest President Donald Trump's visit to the United Kingdom. 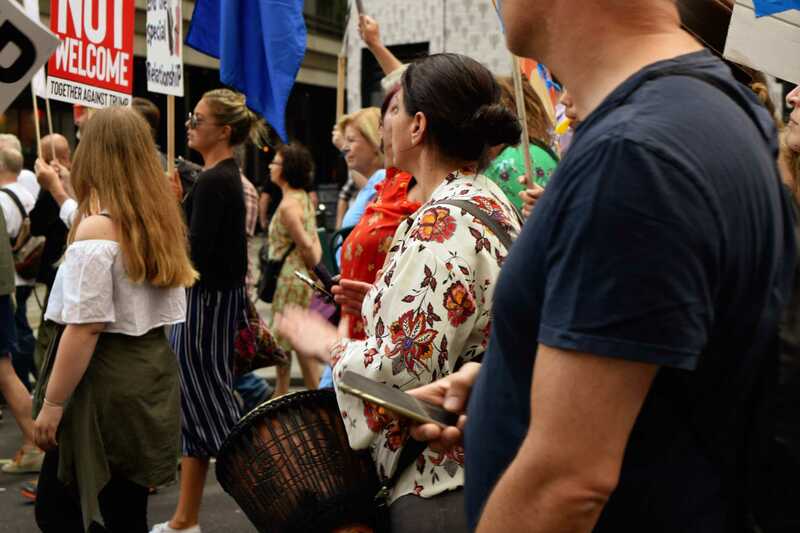 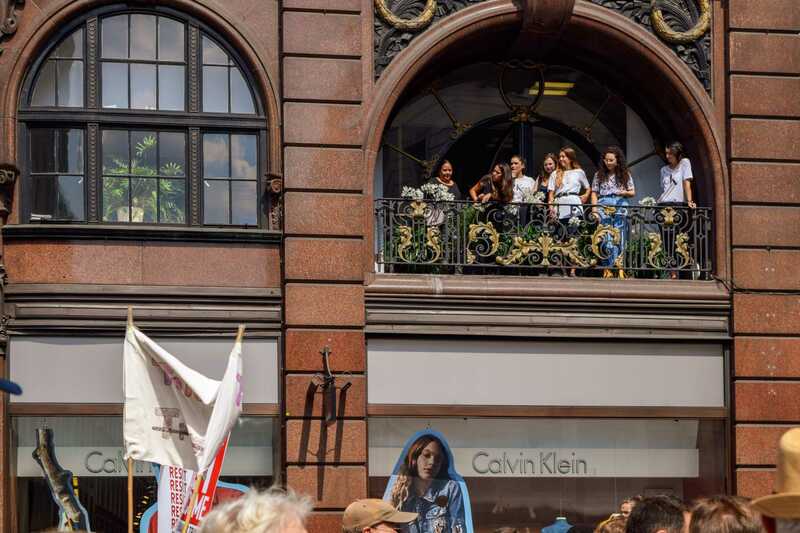 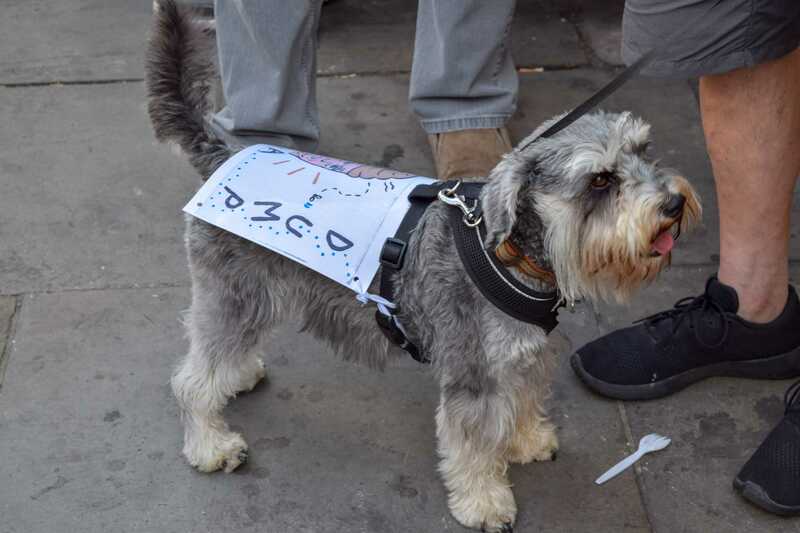 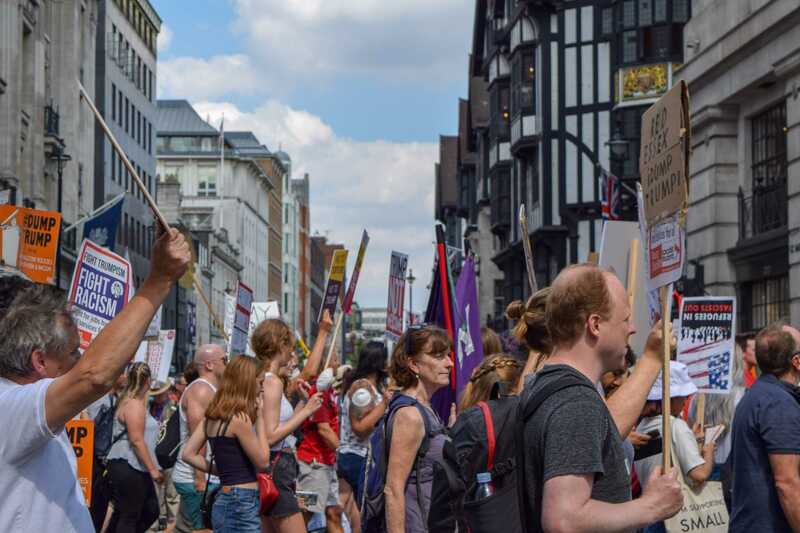 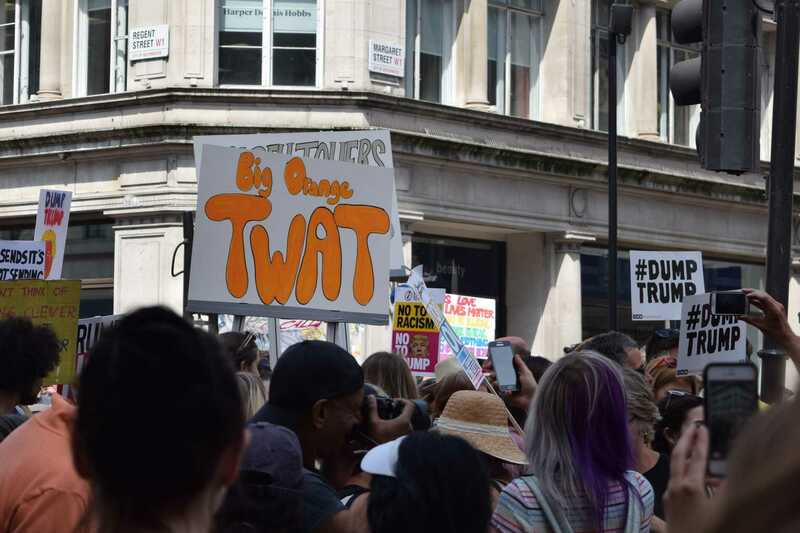 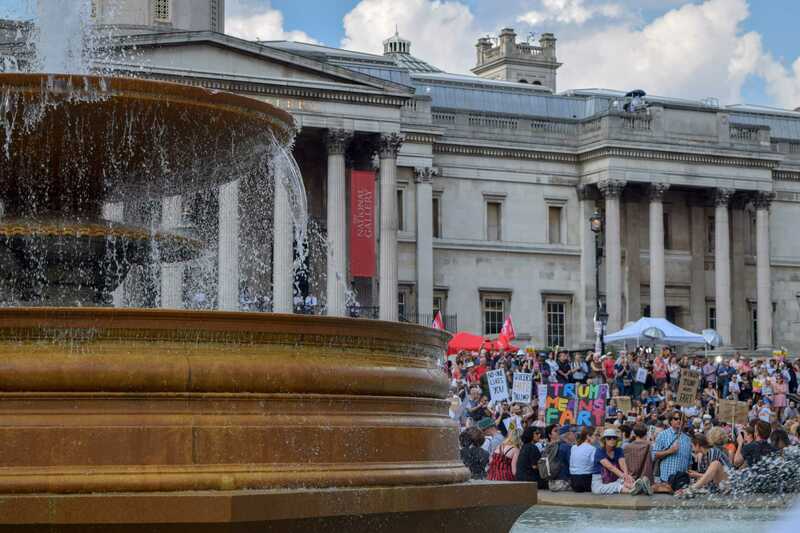 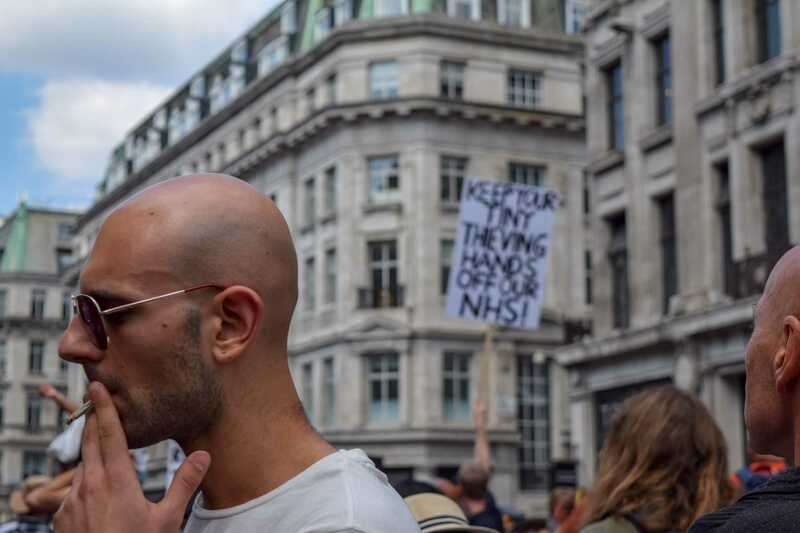 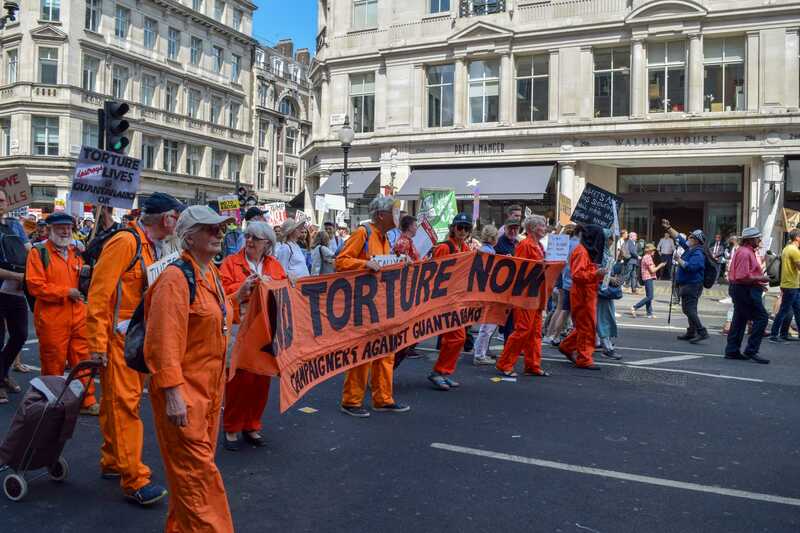 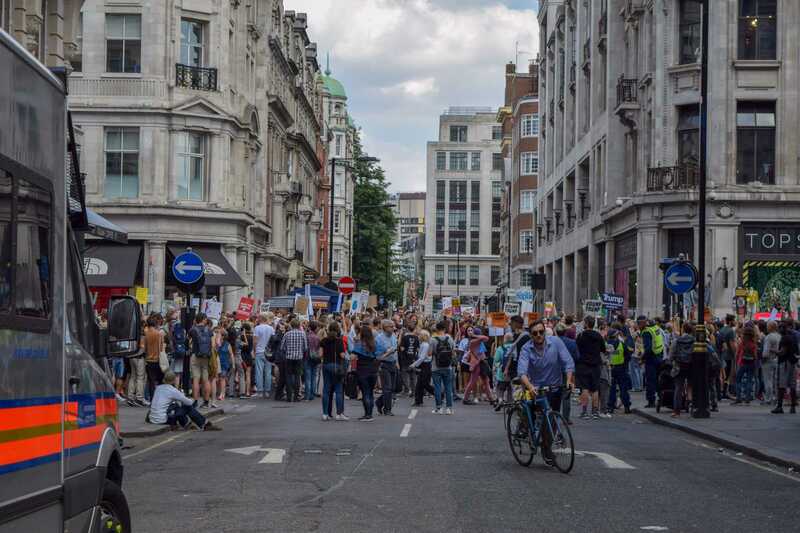 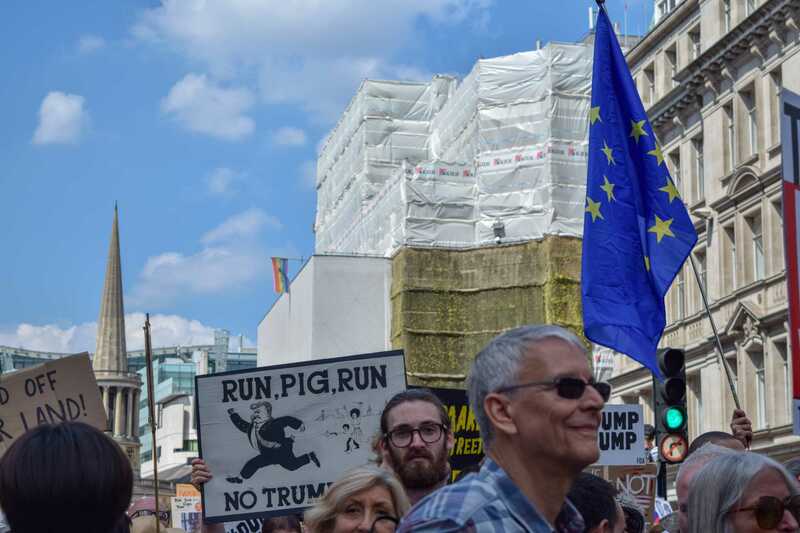 The streets were filled with cheers, singing, and angry chants as the demonstrators marched from the BBC building in W1A down to Trafalgar Square. 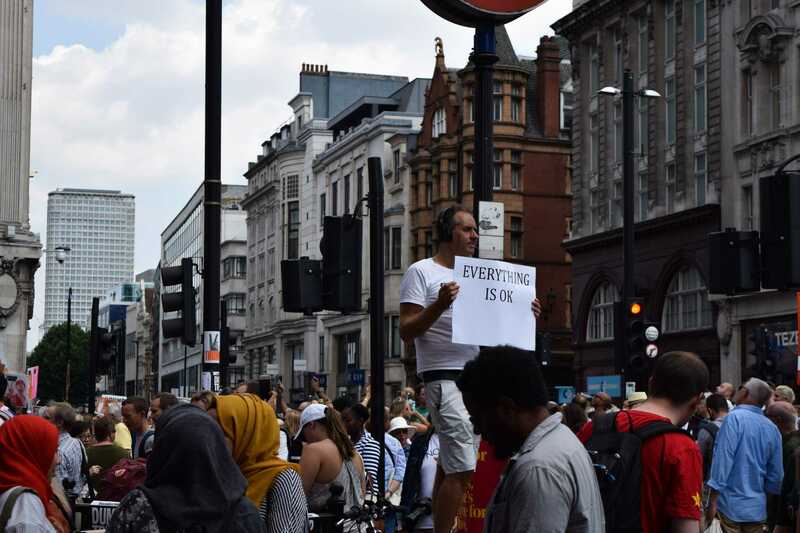 While police presence was high, so were the spirits of the protestors who came together on the sunny Friday to #StopHate. 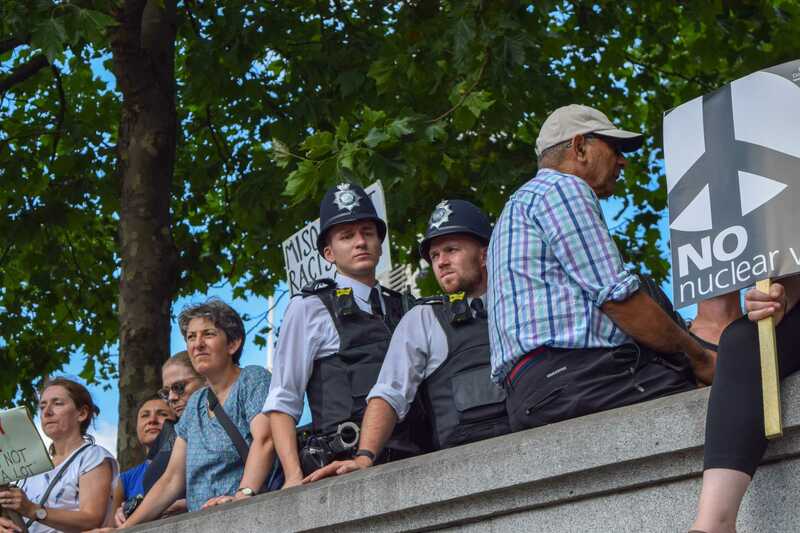 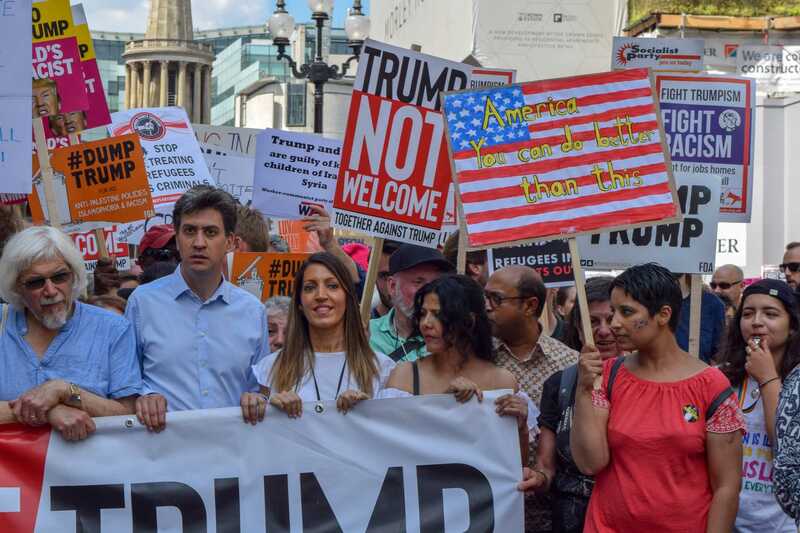 Young and old, American and British, all stood side by side – and we even saw Ed Miliband, who was almost the British Prime Minister, standing up to Trump’s politics. 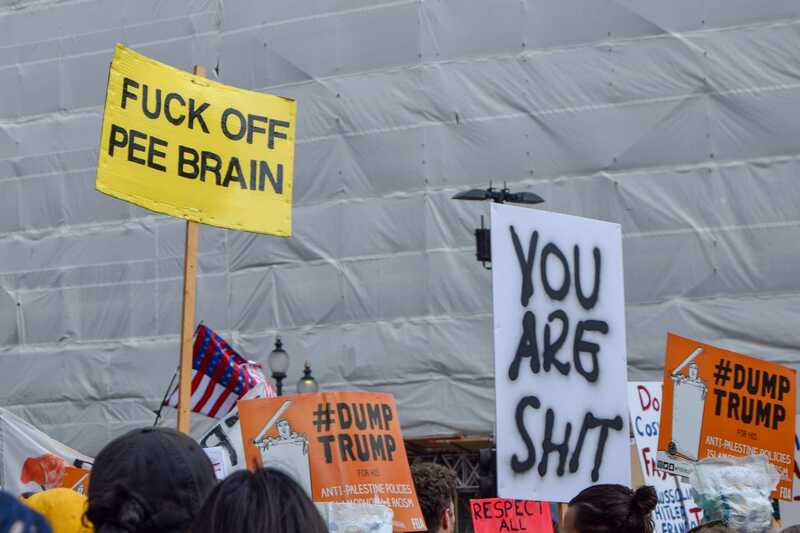 Londoners were not empty-handed and we bring you our pick of the best signs London had to offer. 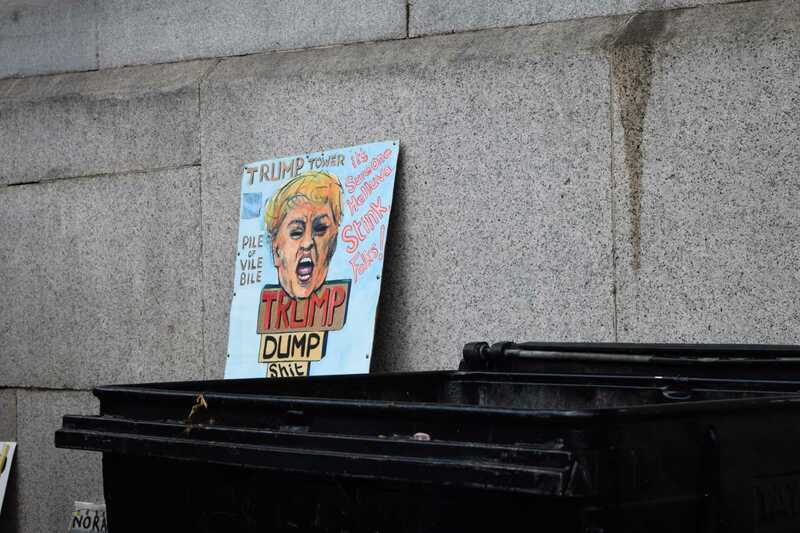 For pictures from the women’s march against Trump’s inauguration, click here. 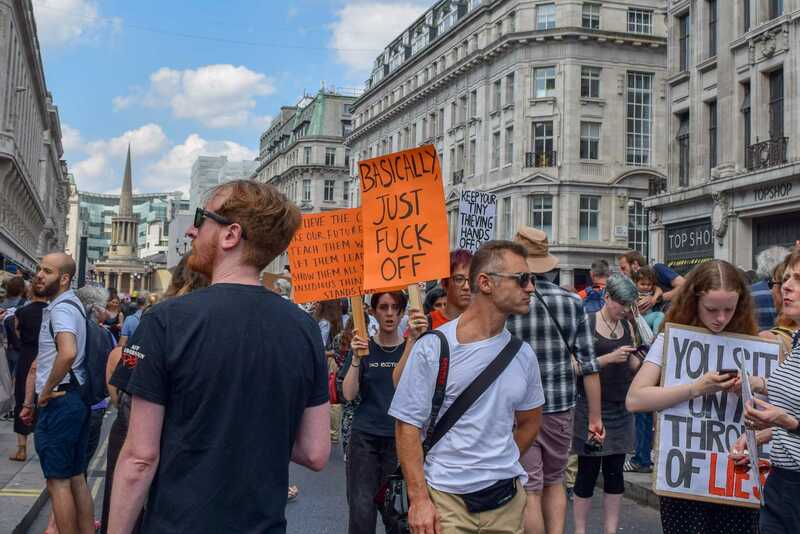 Between the worship of the royal welfare family and the disintegration of a culture to ideological idiocy I would think you would have more important things to mobilize around. 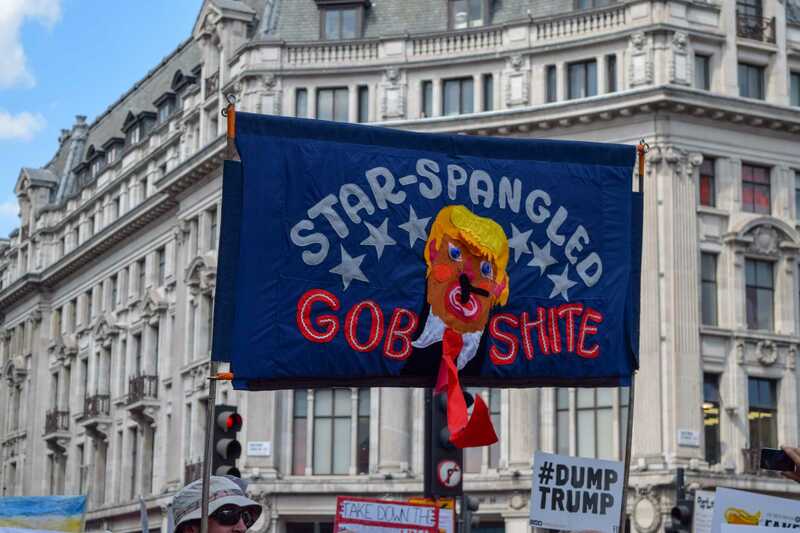 Trump will be gone in a short time.